Until recently it was sufficient to post your listings on your own website and wait for visitors. However, many buyers are now using multiple websites and services to search for real estate. Sites like Zillow, Trulia, HotPads, Enormo, and Oodle are becoming increasingly popular and drawing valuable traffic and leads away from local real estate sites. The good news is that you can actually use this potentially disastrous situation to your advantage. First we make a video of each one of your listings and post that to Youtube, Facebook, and Twitter. 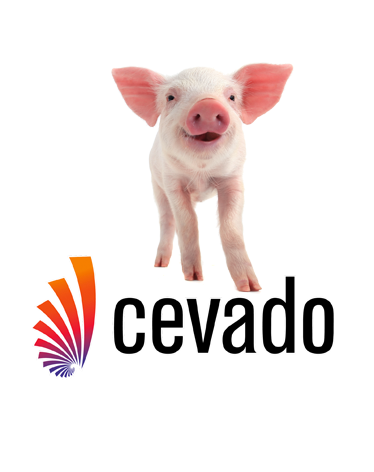 Then as a FREE add-on Cevado Syndication offers your listings to these highly visible sites and services through their free API’s. With Cevado Syndication, you not only ensure that you keep your regular visitors, you now have the potential of putting your listings directly in front of hundreds of thousands of buyers who would have never seen them otherwise! The easiest way to explain how it works is by saying “It’s All Automatic”. We do everything! There is no additional data entry from you to achieve the youtube videos! Utilizing the information and images you already have in the MLS, we gather your listing data, create the videos and virtual tours, and then upload them to multiple syndication sites. It’s really that easy. We also monitor your listings and update them automatically. You never have to worry about having a listing or a video out there that has outdated information. Any price or change of information is automatically updated in all our syndication feeds with absolutely no effort on your part. Can It Help Me Attract More Sellers and Listings? Sellers expect agents to aggressively market their properties and listings. It’s not enough anymore to simply post the property in the MLS and on your website. Any Agent can do that. Top Producers (and even many sellers) know that listings need to be posted on all of the major listing sites. Sellers want to know that you are putting their listing in front of buyers. The addition of our Facebook and Twitter integration allows sellers to know you are utilizing the latest in technology and marketing strategies. Now your Facebook page can actually become a selling tool! We automatically load each of your listings to your Facebook page, and also make a post to your Twitter account with a link to the listing for every new or updated listing. Now you are actually market and sell listings directly from your Facebook page! Each of your listings fed to us from the MLS will have a video created and posted to youtube. If there are new photos or price changes, we automatically create a new video and re-post it to your Youtube page. 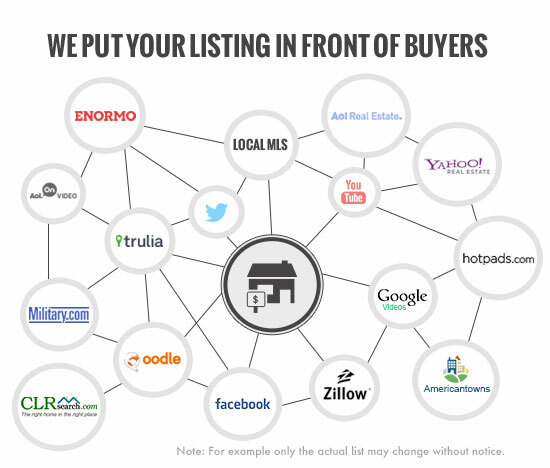 Cevado guarantees to send your listings to Zillow and Trulia on a regular basis. However we cannot guarantee the data integrity once it gets to Zillow and Trulia or if they post it in a timely manner as they make no such guarantees for their services. If you find any issues with a listing once it reaches them we are happy to work with you and their support department to ensure accuracy of the data. There is no additional charge for this syndication. We simply do it as a courtesy for our Youtube Video Clients.